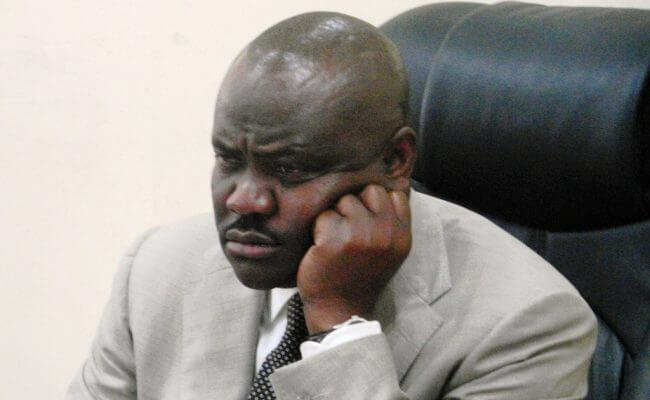 A Federal High Court in Abuja has fixed February 25 to hear a suit seeking to disqualify Governor Nyesom Wike of Rivers state in the 2019 governorship election. Justice Inyang Ekwo on Wednesday adjourned the suit following an application by counsel to Wike, Ferdinand Orbih (SAN) for extension of time. He also said his preliminary objection to the suit is ripe for hearing. In his reply, counsel to Elvis Chinda, who brought the suit, Achinike William-Wobodo said he would require five days to reply. Chinda, had in the suit marked FHC/ABJ/CS/1430/3018 and filed on 26 November 2018, is asking the court to disqualify Governor Wike of the Peoples Democratic Party (PDP) over allegation of presenting a false birth certificate to the Independent National Electoral Commission (INEC).